i come in hope for some help ! first of all sorry for my english that i know it's not really good. So i come trought severall difficulties and finally i got it, i can play pretty smoothly at mh3 on my pc ! But got a problem and a boring one, the sound is freezing. like when i go in game, in the village, the sound start to totally freez. I tried multiple setting, i also tried with dolphin 3.0 but i don't know what to do now .. If you got sound issues try to use LLE. However your CPU might not be powerful enough to run this game (pretty demanding) + LLE. If audio stutters (this happens when you're not running the game at full speed), use the OpenAL audio backend. If it crackles, increase the latency. His profile says 3.5-1335 so he's already been using latest builds. (05-09-2013, 11:55 PM)pauldacheez Wrote: If audio stutters (this happens when you're not running the game at full speed), use the OpenAL audio backend. If it crackles, increase the latency. Yes i didn't know the word to say what i want, but yes sluttering is the one i wanted to use. ok so i tried with OpenAl but now it crackles a bit like in town, but its ptretty ok like this. There is a band down the screen i dont know why ..
You didn't get this issue before? Try to lower your graphic enhancements. It might have something to do with that. 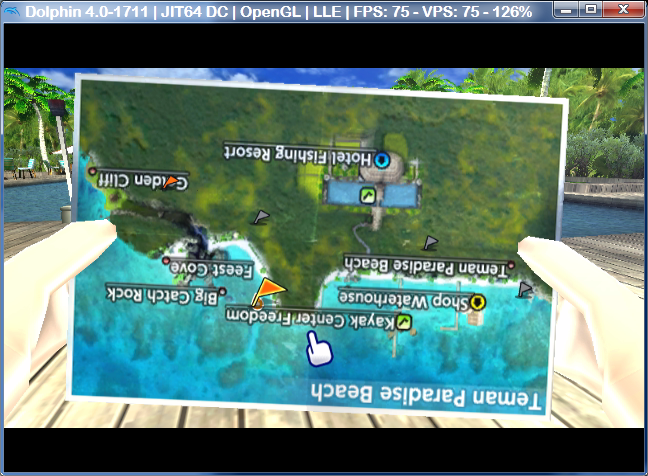 You can also try to change your backend (DX9/OpenGL). The Hacks panel is much more important than those two you screenshotted; can you show us that one?